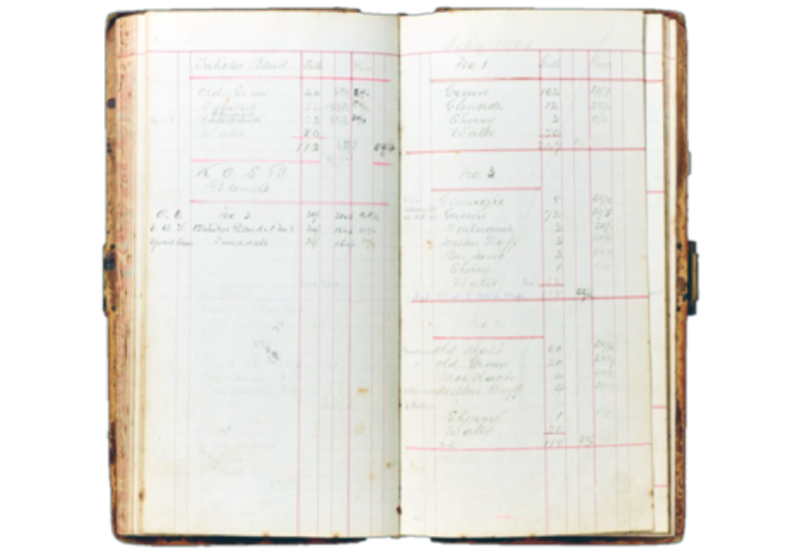 Having inherited my great-grandfather’s cellar book, I began recreating The Tweeddale Blend, using his original recipe of eight single malts and one single grain, based on 50% malt and 50% grain. The Tweeddale was reborn and my first batch of The Tweeddale went on sale in May 2010. The current range consists of small batch, blended and grain whiskies thoughtfully crafted for sharing and merriment. Made from an uncommon composition of 50% wheat and 50% malted barley, the whisky is matured in bourbon barrels and finished for nine months in fine Oloroso sherry hogsheads. Limited release, 46% abv, natural colour, non-chill filtered. 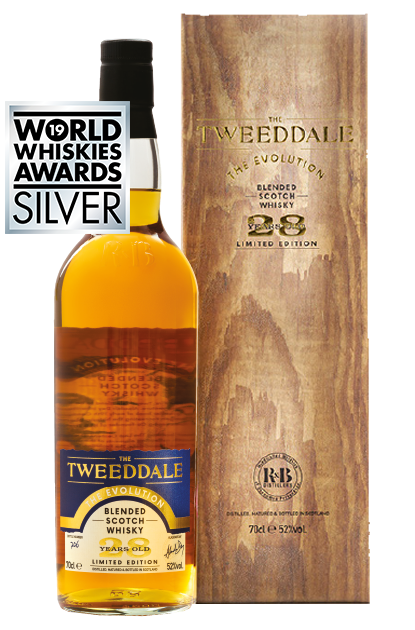 The Tweeddale: The Evolution is our latest and oldest Tweeddale to date, a luxury blend of classic Speyside single malts and a quality Lowland single grain, with the youngest component whisky being 28 years old. The Evolution is among the very few luxury blends aged over 25 years on the market. 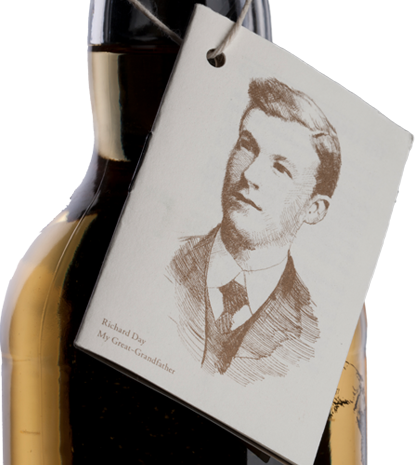 It is what we believe Richard Day would have created, a full bodied traditional blend incorporating the elegance and fruity sherry notes of classic Speyside malts. Limited release (2017), 52% abv, natural colour, non-chill filtered. Juicy Blackcurrant, creamy waxy notes, cherries and plums. A lemon icing note. On a second nosing, freshly baked pastries, and a hint of honey. Big, full, juicy front palate. Christmas cake notes, blackcurrant and pear (almost glühwein-like fruity, sweetness) and a dash of orange zest. Slight hint of American oak sharpening and structuring the finish. Touch of milk chocolate too. Chocolate desserts, creamy or blue cheese, or just after dinner in front of the fire. 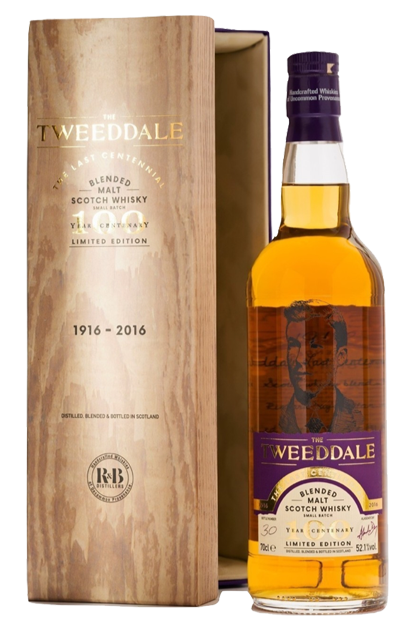 The Tweeddale: A Silent Character is taken from two ex-Bourbon casks filled in 1989 at Cambus Distillery, silent since 1993. Cambus featured frequently in Richard Day’s cellar book, and was widely regarded as one of the best grain whiskies for blends. Cambus played a significant role in the development of the Scottish whisky industry, and its casks remain highly sought after by collectors and connoisseurs. Elegantly poised with a natural sweetness, Cambus is a hidden gem waiting to be rediscovered. Fresh oaky, with peach pastries, lemon and lime, followed by a honey, toffee. A sweet and rich nose. Hints of pear, mixed in with a spicy cognac. Slight grassy and a mineral structure. Combining four Islay, Highland and Speyside single malts from The Tweeddale Blend that I made from 2010 to 2014, The Last Centennial is a heavily peated blended malt that celebrates one hundred years since the last entry in my great-grandfather’s cellar book in 1916. Limited release of 204 bottles, 52.1% abv, natural colour, non-chill filtered. 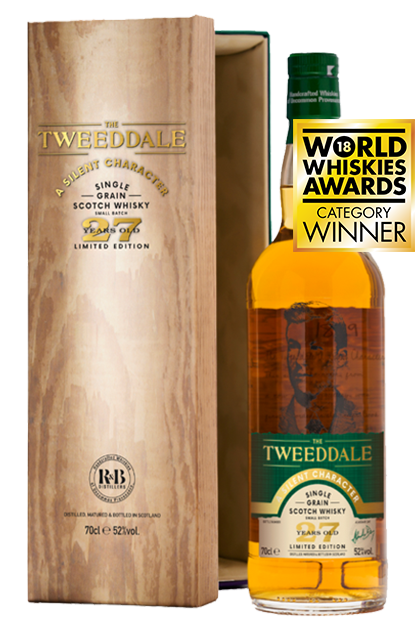 We’re sold out of The Tweeddale The Last Centennial for direct sales, however it is available to purchase from some select retailers and in the U.S. Email info@tweeddalewhisky.com for more information. Initially a classic Islay peat reek, which is quickly followed by bursts of fruit with melon, peach, pear and an almost mineral note, chalky note. On second nose, more lemon, lime and grapefruit come through, alongside earthy smoke. A burst of peach, grape, and plum notes. Ashy notes, a rich cigar, and toasted woody notes. Hints of a dry Riesling, with the mineral notes combining with more fruit. Teasing finish of toasted oak notes and worn leather. 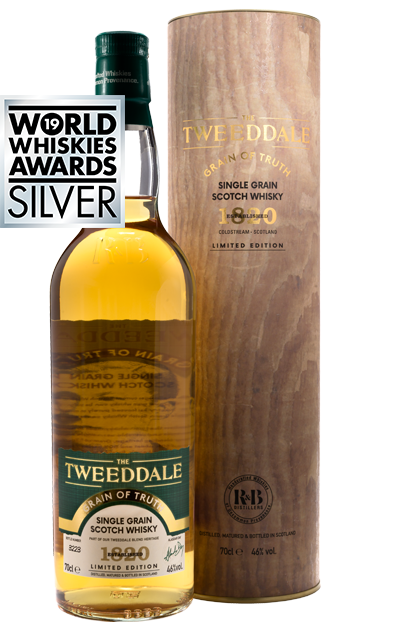 From 2010 to 2014, I made five batches of The Tweeddale Blend using my great-grandfather’s original recipe, drawing from eight single malts from the Lowlands, Highlands, Speyside and Islay, and one single grain from the Lowlands, based on 50% malt and 50% grain.